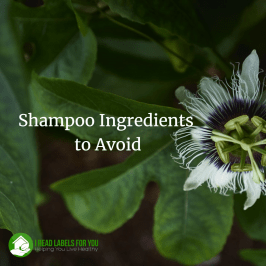 There is a secret I learned while reading numerous shampoo/conditioner labels. 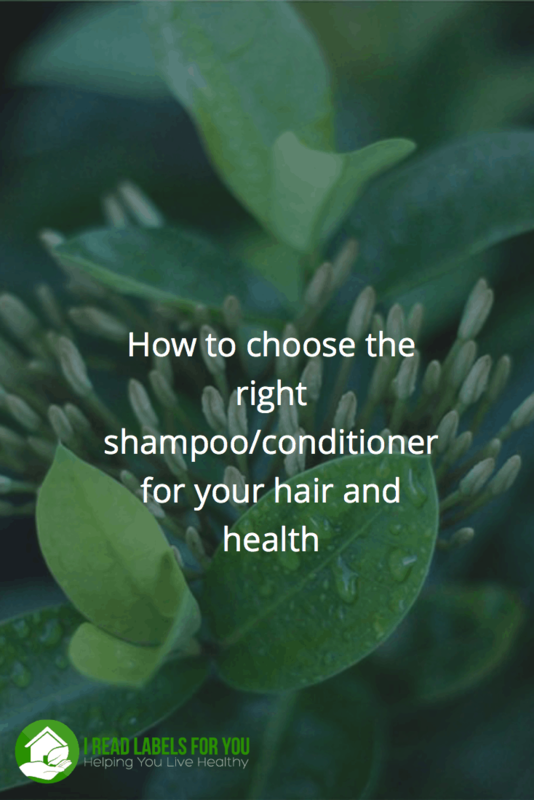 I’d like to share it with you today because it will help you choose the right shampoo and conditioner for your hair type without even trying them. Hint: We will demystify the world of chemicals called quaternary ammonium compounds or quats for short. 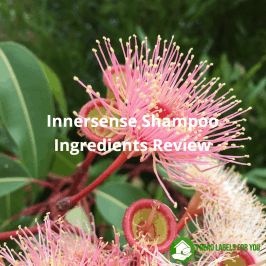 There are a number of chemicals commonly used in shampoos and conditioners that belong to the same group, called quaternary ammonium compounds (aka quats). There is about a 99% chance that one or two or maybe even three of these quats are in your shampoo/conditioner, even if your shampoo/conditioner is marketed as natural or organic. Why are quaternary ammonium compounds so popular? They impart a “slippery” feeling to the hair so you can comb your hair better and spread your conditioner better all over your hair. They also help control frizz and have an antistatic function. They also coat your hair, meaning that it helps solve the problem of dry hair. In other words, if you bought a shampoo and conditioner without quats and you can barely comb your hair and your hair got dry and frizzy all of sudden, here is your answer. Some quats also have antibacterial properties and are used as preservatives or as a part of the preservation system. Know that every personal care product with water or juice needs to have antimicrobial and antifungal preservatives. Are quaternary ammonium compounds safe? Unfortunately, generally, quats have very little safety data and most of them have environmental concerns. Some quats may cause skin irritation or even an allergic contact dermatitis. Others may interfere with our hormone system and most quats are toxic to aquatic organisms. How do I know that quats are used in my shampoo or conditioner? Here is a list of most common quats with their potential harms as listed in a reputable source. There is a lot of information on the Internet about how toxic quats are but nobody lists their sources of information. Guar hydroxypropyltrimonium chloride (CAS #65497-29-2): a quaternary ammonium derivative of guar (aka cluster beans). It involves the conversion of guar with 3-chloro-2 hydroxypropyl trimethyl ammonium chloride. So while it is plant-derived, there is a synthetic portion to it. 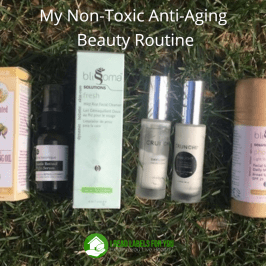 The Cosmetic Ingredient Review (the cosmetic industry association) deemed it safe, and I have not found any studies linking it to cancer, endocrine disruption or allergy. In the Skin Deep database, it is rated 1 with limited data. In the Canada Environment Substance List, it is listed as not toxic to aquatic life, but there is uncertainty whether it is persistent (i.e. remains in the environment for a very long time) and/or bioaccumulative (builds up in organisms over time). Behentrimonium methosulfate (CAS 81646-13-1): rated 1 with limited data in the Skin Deep database; it is not listed in the Canada Environment Substance List or any other others databases. There is no information available on it. Behentrimonium chloride (CAS 17301-53-0): rated 3 with no data in the Skin Deep database; it has antimicrobial properties and in addition to hair conditioner, can be also used as a preservative. According to the European SCCS (Scientific Committee on Consumer Safety) report, it can be safely used in rinse-off hair care products in concentrations up to 5.0% and leave on hair care and facial cream products up to 3.0%. This study concludes unlike some other quats, this one does not cause either immediate dermal irritation or delayed sensitization (an allergic reaction developed over time) when used in concentration >5%. In the Canada Environment Substance List, it is listed as neither persistent (remains in the environment for a very long time) nor bioaccumulative (builds up in organisms), but is listed as toxic to aquatic life. Cetrimonium chloride (CAS 112-02-7): rated 3 with fair data in the Skin Deep database; in addition to its hair conditioning properties, it can be used as a preservative. According to the European SCCS (Scientific Committee on Consumer Safety) report, it can be safely used in rinse-off hair care products up to 2.5% and leave-on hair care products up to 1.0%, and leave-on facial cream products up to 0.5%. In the Canada Environment Substance List, it is listed as neither persistent (i.e. remains in the environment for a very long time) or bioaccumulative (i.e. builds up in the organisms), but is listed as toxic to aquatic life. Stearalkonium Chloride (CAS 122-19-0): rated 4 with limited data in the Skin Deep database; in addition to its hair conditioning properties, it can be used as a preservative. According to the European SCCS (Scientific Committee on Consumer Safety) report, it can be safely used in rinse-off hair care products up to 2.5% and leave-on hair care products up to 1.0%, and leave-on facial cream products up to 0.5%. In the Canada Environment Substance List, it is listed as neither persistent (i.e. remains in the environment for a very long time) nor bioaccumulative (i.e. builds up in organisms), but is listed as toxic to aquatic life. Benzalkonium chloride (CAS 8001-54-5 or 63449-41-2): rated 4 with fair data available in the Skin Deep database; it is commonly used as a preservative; and it is linked to skin irritation and there is even evidence that it can act as a sensitizer, meaning that over time an allergic reaction can develop to it (source). Also, this study found that decreased fertility in both sexes of mice, even when benzalkonium chloride was just used to clean their cages. I highly recommend avoiding it. Thus, in the face of limited information, in an ideal world, it is best to avoid quats. 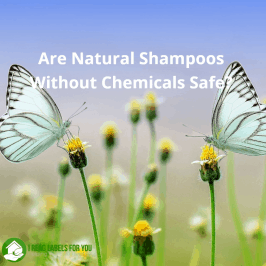 However, there are very few shampoos/conditioners that do not contain quaternary ammonium compounds, because they are not as effective as those products that do contain them. The shampoos and conditioners that do not have quats might leave your hair dry, frizzy and tangled. In other words, in order for shampoo and conditioner without quats to work for you, you need to have perfectly healthy hair. Thus, quat-free shampoos and conditioners might not work very well for you, especially if you color your hair with chemical dyes. (If you do, you might want to check out the Permanent Hair Color Rating List for safer options.) But if you use the Hairprint Color Restorer that does not contain harmful chemicals you will have to discontinue using your shampoo and conditioner with quaternary ammonium compounds at the very least one week before its application. Let me know what you think in the comments. 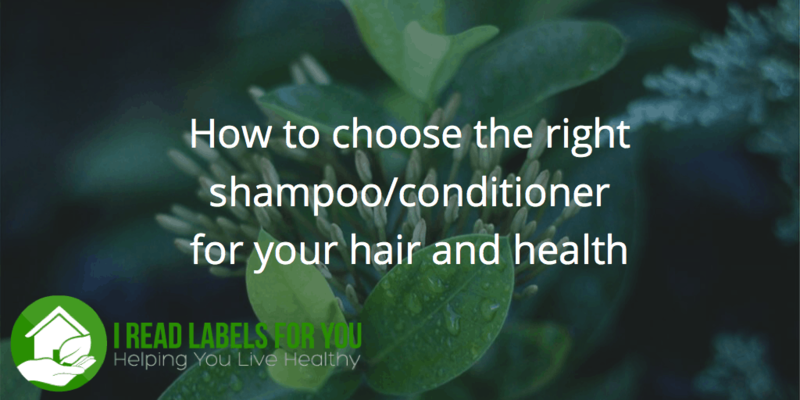 Do you prefer shampoo/conditioners with quats or without them? Which shampoo do you use?